In 2003, an academic and job preparation skills program entitled SPOKES (Strategic Planning in Occupational Knowledge for Employment and Success) was created by WVAdultEd under a contract between the WVDE, Office of Adult Education and DHHR to meet the needs of WV Works participants receiving assistance through TANF (Temporary Assistance to Needy Families). The SPOKES program model provides intense daily activities that address academic and soft skills necessary for adults to pursue gainful employment. Although the program is designed for participants functioning at or above the 4th grade level, there is some flexibility about including participants who score at lower levels. The SPOKES program consists of assessment, a repeating cycle of Life and Employability Skills modules, technology skills, work-related academics, and vocational training in customer service. This program structure allows WV WORKS to refer participants to the program and receive services “on any given Monday”. Participants referred to SPOKES may have different participation requirements depending on their family eligibility status. In addition to a certified full-time SPOKES instructor, a Career Development Consultant (CDC) may be available to a program to provide assistance with enhancing the learner’s job readiness skills, as well provide job development and follow-up. The CDC is responsible for establishing industry partnerships; coordinating job development, placement, monitoring, and follow-up; developing individualized pre- and post-employability plans for participants; and explaining employer tax incentives and benefits. Together the CDC and SPOKES instructor follow-up with participants for six-months after job placement. Only participants referred from WV DHHR, Bureau for Children and Families—WV WORKS are served in SPOKES Only classes. Participants referred by other agencies or served by funding other than TANF are not served in SPOKES Only classes per WVDHHR. Participants should be referred by a pre-determined day during the week prior to the planned starting date. 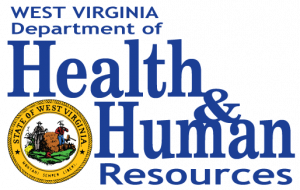 The caseworker or counselor from the referring agency must complete the appropriate WVDHHR Referral for Training/Services form for each eligible participant and send it to the SPOKES classroom. Participants officially referred to and enrolled in SPOKES classes must have an identified need for instruction and/or enhancement in one or more of the module areas that prevents them from getting employment or advancing in a job. Individualized, computer-aided, small/whole group, and work-based/site instructional techniques are utilized within the program delivery of services. Only those participants referred from WV WORKS are eligible to participate in SPOKES Only classes. Per WVDHHR, we cannot accept anyone in who is not a WV WORKS participant. WV WORKS participants are classified as being in a one-parent or two-parent household and who have required core activities. These participants are referred for consideration for the SPOKES program. As with all WVAdultEd programs, participants must be adults who meet all eligibility guidelines or youth (ages 16 to 18) who have officially withdrawn from the public or private school system and have provided verification of withdrawal from school. Most 16 year olds do not qualify unless they are emancipated, married, court-ordered to attend, or enrolled in an institutional education program.